Can I stake my tokens? Can I vote? Will I receive airdrops? The answer to these questions is simply no if you hold your EOS in an exchange account. It might be convenient to hold your EOS in an exchange account, but you will not be able to use your EOS to its fullest potential. That is why we have created this guide, which will explain all the steps you need to take to gain control of your EOS. If you are reading this guide, you most likely have your EOS on an exchange and you don’t know how to start taking them off of the exchange. So let’s start with the basics. 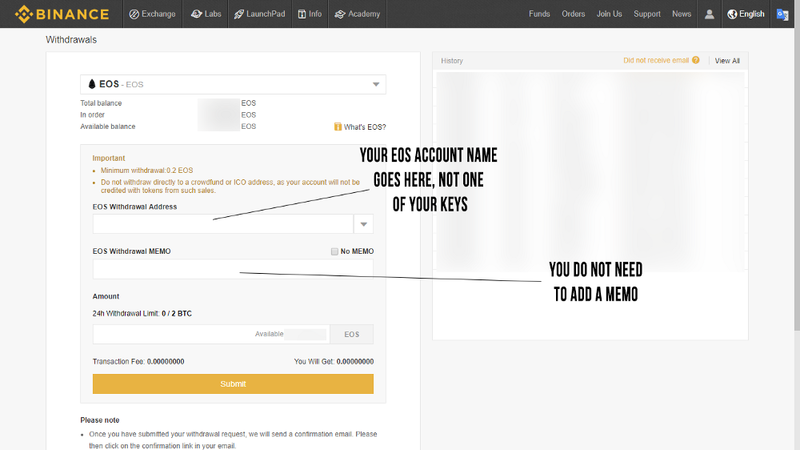 The first thing you should know before attempting to withdraw your EOS to a wallet of your own, is that EOS has an account system. This means that you need to create an account on the EOS network before you are able to withdraw your tokens from the exchange. Every EOS account is 12 characters long and contains the characters a-z and 1–5. An EOS account consists of 2 keys, the active key and the owner key. The active key can be used to transfer funds, vote for block producers, buying ram, etc. The owner key shows ownership of the account and is needed to make any changes to the ownership the account. This key is best kept (safely) offline, as it is not needed to do most things on the EOS network. First of all you have to download Scatter, a browser extension. You can get Scatter here. Follow the instructions on how to set up your Scatter account and login to your Scatter extension. After that go to the toolkit and connect your existing EOS account. 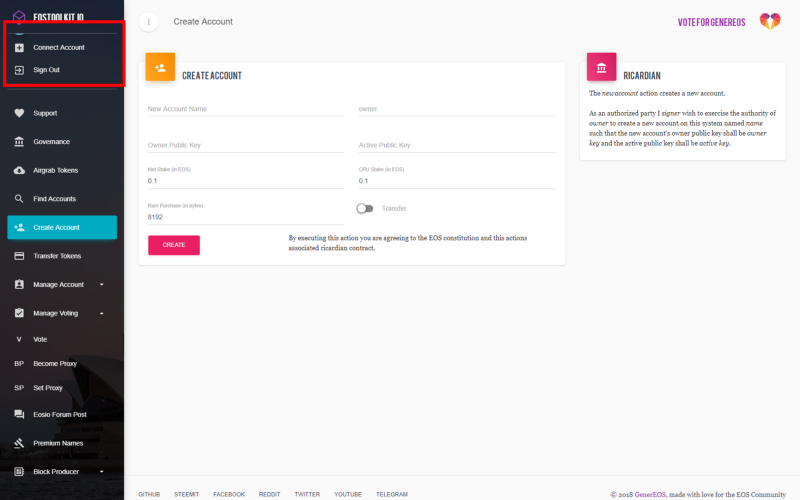 After you have connected your account you can go to ‘Create Account’ and fill in the blank spaces. You can use existing keypairs as the owner public key and active public key, or you can generate new keypairs in Scatters under the ‘Keypairs’ tab. We recommend not changing the ‘net stake’, ‘CPU stake’ and ‘RAM purchase’, unless you plan on making a lot of transactions, or plan on actively using your EOS. If this is the case, stake more for CPU and net with a 10:1 ratio (as you will run out of CPU much faster than you will run out of net). To give you an idea of how much you should stake, staking 1 EOS for CPU is enough to make multiple transactions per hour. The cost of creating an account (using the above settings) can be calculated in the following way: (Current RAM price/Kb)*3+0.1+0.1=The minimum amount of EOS required to create a new account. 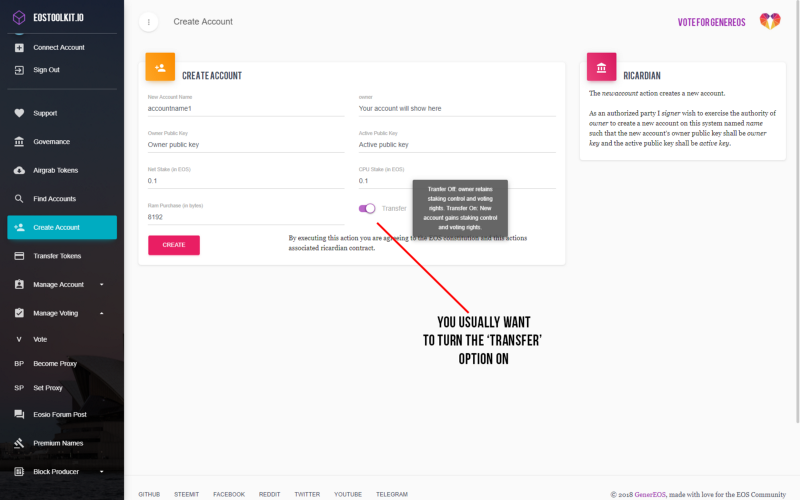 Now you have created an EOS account, you can start withdrawing your EOS to your account. First of all make sure you are still able to login to your Scatter extension. If this is stil possible, proceed. Login to your exchange and search for the withdraw or balance page. For this tutorial we will be using Binance. Put in your EOS account name, NOT your active or owner key. You do not need to add in a memo, as this doesn’t do anything. After you have double-checked the account name, you can submit the withdrawal. After the withdrawal has gone through, you can check if the EOS is in your account on a block explorer, for example bloks.io. If the EOS is in your account, you can start using it! Now you have succesfully withdrawn your EOS to your own account, you can start using it! You are probably wondering how to do this and what all the possibilities are, so we will put all of them together below. First of all, you are now able to receive airdrops on your account, you don’t have to do anything! 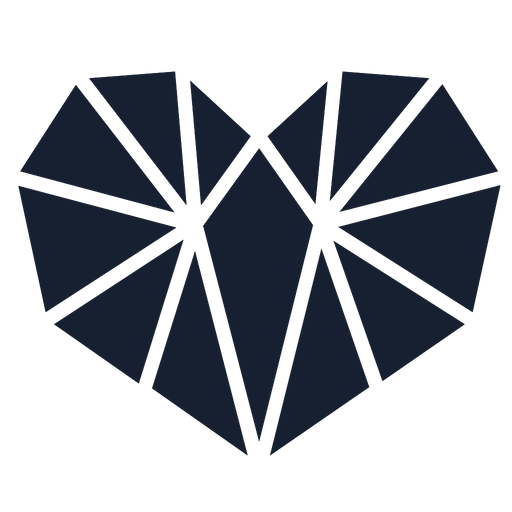 Now if you want to send a transaction, stake, vote, airgrab a token, you can visit a toolkit. Below we will link you to all the useful guides you need to get started, the helpdesk which they are on, is a joint effort by Genereos and Blockgenic. Now you are also familiar with how you can use your EOS, you can look into making your account more secure. While this is not necessary, it is recommended if you share your EOS account with many people, hold large amounts of EOS or are concerned about the safety of your EOS. The first option to better secure your account, is to turn it into a multisignature account. This means that you can alter your account in a way that multiple keys are required to do certain account related actions, such as sending a transaction, changing ownership, voting, and much more. You can also set different permissions, so you don’t have to use your active key to vote for example.